With my new life in horses has come some interest in purchasing watercolor portraits of pets from me! So I am about to slowly venture back out into the business of painting for hire. “Starlight Run” will be my business card image as well as being featured on the header of my redesigned website. The website is looking fairly good right now with some cleaning up of old posts still required. Hopefully this version of “show my work” will have a longer run than that effort of four years ago. 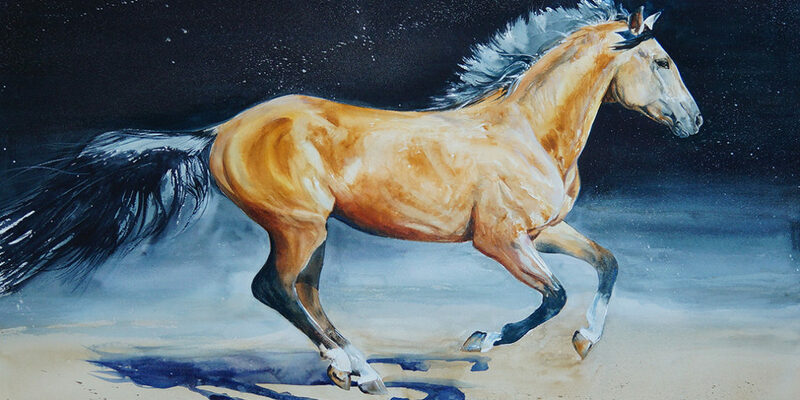 In any case, there is a new tab with all the latest horse paintings! Enjoy!